Ramesh, nicknamed Rummy (Nagarjuna) loves his childhood friend Janaki, who asks him to become rich and powerful before marrying her. With this motive, Rummy starts gambling and becomes rich in no time. © 2018 Scratchu.com Kedi | Nagarjuna Akkineni, Mamta Mohandas, Sayaji Shinde, Ankur Vikal, Linda Arsenio, Harshavardhan, Brahmanandam, Akhilendra Mishra, Anushka Shetty, Nirmal Pandey, Kelly Dorji, Tanikella Bharani, Mehek, Mukul Dev, Annie - Kedi (2010) | Telugu Movie | 4.9/10 | Synopsis : Ramesh, nicknamed Rummy (Nagarjuna) loves his childhood friend Janaki, who asks him to become rich and powerful before marrying her. 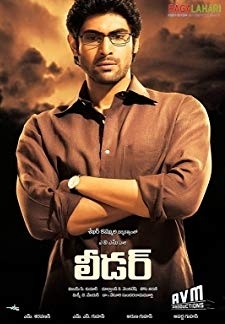 With this motive, Rummy starts gambling and becomes rich in no time.... Watch Online!! !